What could be more exciting than hovering hundreds of feet above some of the East Coasts most famous sites? 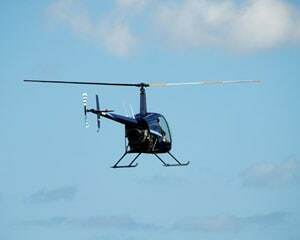 How about settling into a Robinson R22 helicopter and manning the controls solo? You control the helicopter! No experience necessary. After a ground lesson, your pilot will take you to a thrilling altitude where you’ll be given a shot at manning the stick. You’ll be in complete control as you soar high above the perfect scenery. The best part is that no experience is required—this adventure is designed specifically for newcomers wanting to get their first taste of the sky! It was amazing. I plan to continue lessons on flying helicopters!